Follica has been around since 2006 – wow, has it been ten years already? 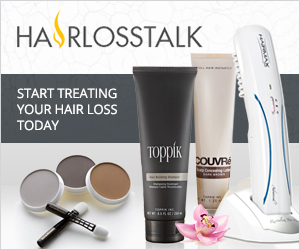 – and they haven’t exactly kept HairLossTalk users on the edge of their seats with ongoing updates. Quite a few waiting in the wings for new hair loss treatments have written off Follica years back due to a lack of forward-progress and very little information from the company. Dermarolling – As Bad as it Looks? 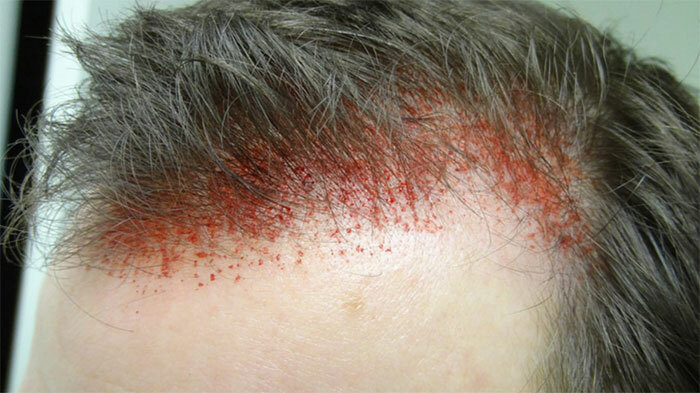 If you’re not familiar with dermarolling, you probably missed the hip new fad that struck our forums in 2015-16 where guys were literally obliterating their scalp skin until bloody, in hopes that the healing process would cause cells to generate new follicles. Note: Old school dermarolling. NOT Follicas new treatment! We actually ended up locking most of the discussions on the topic after seeing entire threads full of pictures of bloody scalps. The problem is that it’s not being done by professionals. So “skin disruption” or “wounding” seems to be part of Follica’s new treatment currently in research. Along with it, they plan to use Minoxidil to assist in the process. They applied for a series of patents, got some of them approved in 2015, and continued to work on their treatment. New Follica Website: Forward Progress? Then, this past October, Follica suddenly launched a complete redesign of its website, seemingly out of nowhere. The new site has cool graphics, and optimistic quotes from researchers. It also has the surprising announcement that Follica is aiming for a 2018 launch of their new hair loss treatment – which, they’ve announced for the first time, will now involve stem cell transplantation. What does this update really tell us? Does it hint at some completely new technique, or an improvement on existing technologies? What questions remain to be answered? Let’s separate the facts from the speculation, and find out what we can really expect from Follica between now and 2018. Follica’s website immediately makes one thing clear: this new treatment is intended not just to revive damaged follicles, but to use epithelial stem cells to generate brand-new healthy follicles – an approach known as hair follicle neogenesis. The fundamental idea behind Follica’s approach seems to be the same as it’s always been: a skin disruption procedure, followed by some sort of topical compound. Follica may be trying to up the ante on Shiseido and RepliCel, who formed a partnership earlier this year, announcing their own 2018 target for a follicle neogenesis technique, known as RCH-01, an in-office procedure not designed for home use. Follica’s website blasts their “at-home treatment” message in huge text, making it clear that they know who they’re up against. The timeline also seems pretty consistent with what Follica has said in the past. Back in April 2016 – months before this big website re-launch – Follica announced a project timeline in which they’d launch a registration study sometime in the second half of 2016, seek FDA clearance for their treatment by 2017, and aim for a commercial release as early as 2018. According to the new site, they’re still shooting for that goal. Follica’s leadership team also contains a lot of familiar names – especially Dr. George Cotsarelis and Dr. R. Rox Anderson, the company’s co-founders. While they’ve added some new medical advisers, it’s clear that the core of the company will remain based around the same researchers who launched it. The big question right now is which mystery chemicals this at-home system will use. The most likely candidate would be Follica’s old standby Minoxidil, combined with some new proprietary compound. Understandably, Follica is guarding this information closely – they haven’t released so much as a single hint about which chemicals the daily applicator will contain. If Follica’s previous patent applications are any indication, the compound might also contain Fibroblast Growth actor 9 (FGF9), which Dr. Costarelis and his team have expressed interest in before. If the applicator does turn out to use Minoxidil, that could mean users would be stuck using their re-application devices several times a week for the rest of their lives. Now that companies like Histogen and Replicel are promising once-and-for-all stem cell treatments, a lifetime commitment to Minoxidil wouldn’t exactly be a huge selling point for Follica. Another interesting feature is a companion smartphone app, which will help users personalize their at-home treatments around their needs and lifestyles, automatically measure dosage amounts, and automatically re-order supplies for home delivery when necessary. This certainly isn’t a core part of the treatment, but it’s pretty unique in this field. It may turn out to be a trendsetting idea. 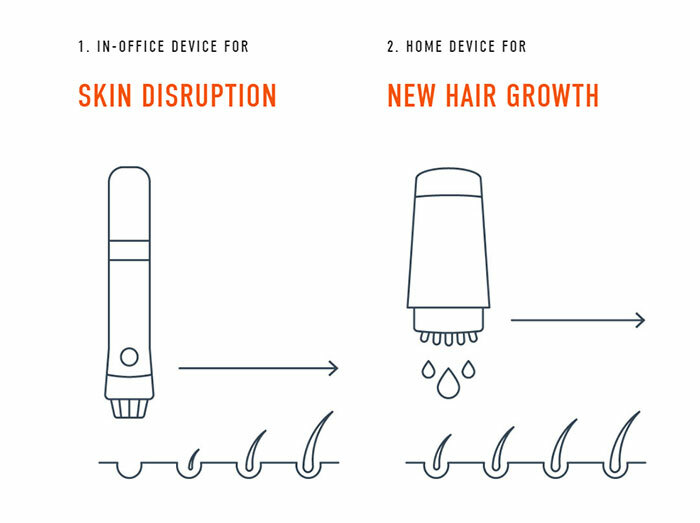 Another alternate possibility is that the at-home treatment might be just one of several options for sustaining growth from the regenerated follicles. Depending on how strongly the new follicles grow, it might be possible to take Finasteride or Dutasteride, to control levels of dihydrotestosterone (DHT) well enough that the Follica device might not be necessary. This is all just speculation at this point, but it’s still interesting to think about. 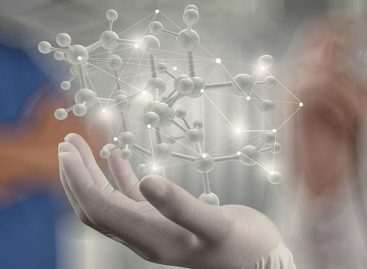 If it turns out to be as big of a breakthrough as they’re saying, it could be a significant competitor for companies like Histogen and RepliCel as 2018 approaches. It’ll be exciting to find out. Tired of the scams? Find out what hair loss treatments will actually work.